– 3.8MM Game Tool – For NES and SNES games, plus random others. – 4.5MM Game Tool – For SNES and some Genesis games, as well as opening SNES and N64 systems. 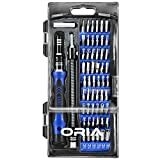 – A normal-sized philips head screwdriver is used in pretty much every mod. – Large pliers aren’t necessary, but come in handy now and then. – Wire strippers are great, but you could always use cutters instead. 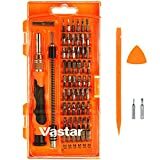 – I bought a cheap set of dental tools from my local pharmacy. They’re great for working in tight spaces. 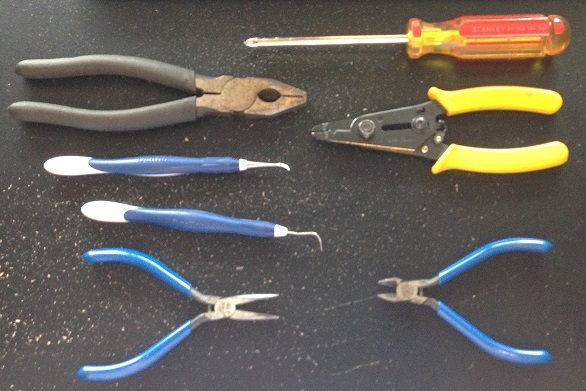 – Mini cutters and pliers came in handy for pretty much every mod. 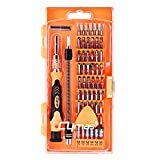 Cymas Precision Screwdriver Set, 58 in 1 with 54 Bits Magnetic Driver Kit,Electronics Repair &Disassemble Tool Kit for PC, iphone 7,iphone 6 and other Smart Phone, Tablet,Game Console, Clock, etc. 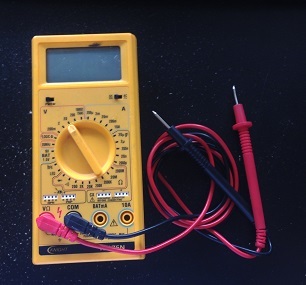 The next thing you’ll need is a soldering iron and solder. If you plan on multiple mods, I strongly recommend using a “soldering station” with adjustable temperature control. 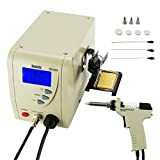 If you’re only doing one or two mods, any cheap low wattage soldering iron should be fine. I recommend 15-20w and make sure to get one with a few tips. 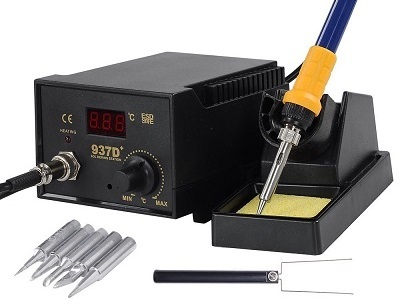 Honestly though, there’s a new soldering station that’s recently been discovered to be inexpensive and of excellent quality. 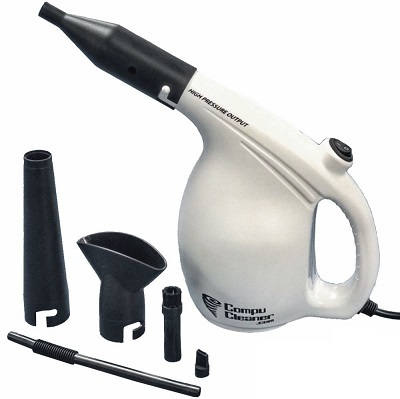 I’ve personally been using this and was shocked at how much easier it was to use than every other station or iron I’ve ever worked with, even using just the tip the main kit shipped with! If you pla on doing more than one or two mods, definitely look into this. Also, Voultar recently reviewed this station and even worked with the main distributor to get coupon codes for everyone! 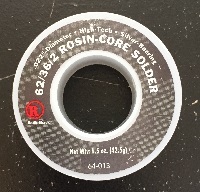 Solder and flux are equally as important: First, if you’re starting out, I’d suggest adding flux to EVERYTHING. Later on, you’ll start to see what you need it on and what you don’t, but there’s no harm in using it. People have also used kynar wire in mods, which works well, but has a few drawbacks: It’s very brittle, only has a single connection inside and not much shielding. 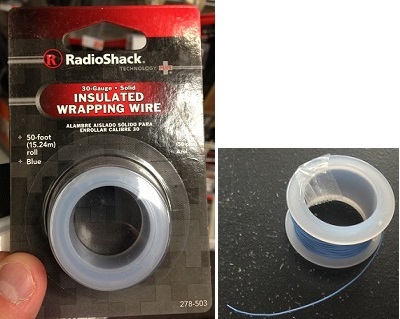 Some installation will require think wire like this though, so it’s good to have some on-hand. Compressed air is always helpful any time you’re working on electronics. The best tool would be an actual air compressor, but they’re expensive and loud. 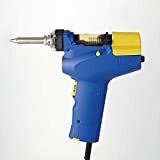 If you only plan on working on one or two projects, cans of compressed air are fine…but if you work on a lot of electronic projects, I found a tool you should look into: The EasyGo EGP-COM-011. It’s expensive, but if you use a lot of compressed air cans, it’ll pay for itself within a few months and works just as well. Please click here to go back to the main page.